Each year in the weeks preceding the Western States 100, excitement builds as people from around the world focus in on North Americas’s most competitive and historic ultramarathons. Much of the attention is often, appropriately so, placed on those runners at the front of the pack and this year’s race promises to be a barn burner up front. However, every year, I also find it interesting to look elsewhere in the race field for intriguing stories. This year, the following four storylines have piqued my interest and deserve the attention of the ultra world as we zero in on race day. This year, three septuagenarians will be on the starting line in Squaw Valley. Gunhild Swanson, the 72-year-old woman who inspired thousands with her dramatic, six-seconds-to-spare finish in 2015. Wally Hesseltine, also 72, who entered the Placer High School Track in 2016 just as the final horn sounded, missing an official finish by less than two minutes, and Gordy Ainsleigh, race founder and 22-time finisher. For each of these inspirational runners, the journey from Squaw to Auburn is likely to be filled with challenge, adversity, and pain. However, at an age when many are sitting in their RVs wiling away long summer days, these three set a remarkable example for us all, regardless of how or if they finish. In June of 1988, 50-year-old Western States legend Doug Latimer ran the race in 18:43:58. To this day, 29 years later, his time remains the course record for runners 50 years old and over, by far the longest-standing age-group record. An impressive list of runners have attempted to best Latimer’s time over the years and only one, Meghan Canfield Laws (previously Arbogast) in 2011, has even come within 10 minutes of Latimer’s mark. Canfield Laws’s time of 18:50:19 is the women’s standard for that age group but that, of course, is not enough for The Queen as she is once again returning to the race, this time for her 11th finish, with her eyes on Latimer’s magical number. In addition, two local 51-year-old runners, 10-time finisher Mark Lantz and nine-time finisher Dan Barger, are also taking aim at Latimer’s ghost. Back in November, the Western States Board announced the creation of a new award called the Silver Legend Entry. This award, established by a friend of the race in honor of late Race Director Greg Soderlund, is intended to honor an individual over the age of 60 whose contributions to the sport of ultrarunning in general and to the Western States 100 in particular have been exemplary. At the lottery in December, 17-time finisher Scott Mills was announced as the first Silver Legend Entry winner and gained entry into the race. Mills ran his first Western States in 1982 in a time of 21:29. Since then, he finished the race 16 more times. Every year he has not gained entry, he has volunteered at the race. Last year, for example, he was in charge of runner tracking at the Michigan Bluff Aid Station and for years has worked the remote Lyon Ridge Aid Station in the high country. Scotty’s fastest Western States was his 20:00:03 in 1991 and his last finish was his 22:10 in 2012. In all 17 of his finishes, Scott has arrived at the finish in under 24 hours. I know for me, of all the finishers I will be cheering for on that track later this month, my cheers for Scotty will be some of the loudest. Ever since becoming the Western States Race Director in 2013 (he served the race as Assistant Race Director in 2012), Craig Thornley has aspired to run the race again. An eight-time finisher, all under 24 hours, Thornley last ran the race in 2010. Over the past four years, as the race has evolved and Thornley and his team have created an extraordinarily well-oiled machine, Thornley’s stamp has become evident in all aspects of the race. This past winter, it became clear to the Board that 2017 would be the year Craig could return to run the race, the second-ever Race Director to do so while also RDing the race. Craig ran his last 100 miler in Virginia at the Grindstone 100 Mile in 2011. Since then, much of his time and attention has been devoted to his race-director responsibilities. This year, of course, has been no different. However, in the midst of juggling the thousands of details that are part of pulling together a race of this magnitude, Thornley has also returned to what he loves, training for this race. He has put in the long runs, the tempo workouts, the hill runs, and his beloved track workouts. By all accounts, he is ready. Having known Craig for 15 years, I would expect nothing less! Every year Western States impresses and inspires me, and this year will be no different. As I enjoy the race as a volunteer and a spectator, I look forward to following the stories of Gunhild, Wally, Gordy, Meghan, Dan, Mark, Scotty, and Craig as well as the other 361 narratives unfolding on the wonder-filled fourth Saturday in June. Last weekend my family made the trip up to Vermont for my son’s bike race. While there, my wife popped into a bottle shop and picked up a couple bottles from Foley Brothers Brewing in Brandon, Vermont. Last night, I dove into a bottle of their Skeleton Crew IPA and it was delicious. 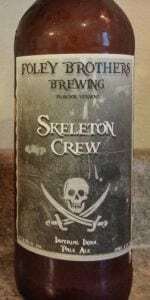 Brewed in that classic, juicy Vermont style, Skeleton Crew is not at all resiny or cloying and yet has a strong bitter aftertaste that belies its tanginess. Worth a try for sure if you find yourself up in the north country. What storylines will you be following at this year’s Western States outside of the competitive men’s and women’s races? Is there a runner in the field who has a story you think we all should know about? Leave a comment to share. Starting the KT82 solo tomorrow and hope to have an answer to the question. That’s a great blog post Eric! My advice, go for it! You’ll be rested at the starting line and then adrenaline and muscle memory will take over. It’s gonna be all about BANG. BANG. gjls, I’m missing what is hopefully a joke here. yup the coconino is gonna tear it up sub 14 style, who cares about all this other nonsense. Thanks for the article Andy! I care about the other nonsense ;-) I’m a huge Walmsley fan, but Western States is about more than just him, I cannot wait to see him crush it. The background and history of the race is something that us here in the UK (and everywhere else) need to read about, enriches the story! These would be my thoughts as well. Thanks for the article (the whole series of articles for that matter) AJW! 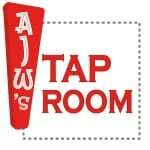 Great article, thanks AJW! For the record, Mo Livermore was co-RD (along with her then-husband Curt Sproul) and ran the race in 1981 and 1983. As a race director, I’m almost always exhausted by the start of the race, but if anyone can pull this off, it’s Craig. The third man to look for in the 50+ age group is Gary Geist from Oregon. These three, Mark Lantz, Dan Berger, and Gary Geist will be within minutes of each all day long. Good luck to all.